Today we have Sherron Washington on the Plateau to Profits podcast. I’m excited about today’s episode because we’re going to talk about marketing at it’s simplest form. Sherron is celebrating her 10th year in business this year. She started working in non-profits doing marketing and realized she wanted to spend less time traveling. After a conversation with a manager who offered to be her first client she launched P3 Solutions. 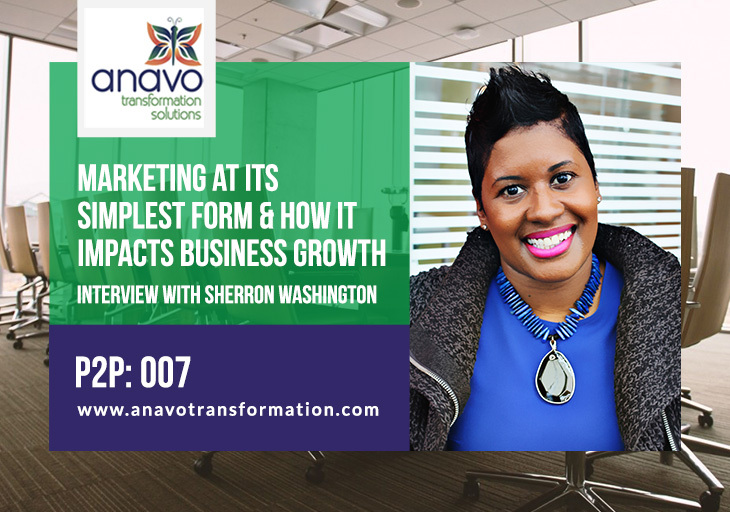 Sherron is an adjunct professor and the author of “Market Simple: The Blueprint I Wish I Had When I Started A Business: The Small Business Guide To An Easy Marketing Plan” (available on Amazon as a Kindle publication here). Sherron recommends starting out with a one page marketing plan… not a lengthy marketing plan that will end up getting put away and never used. Select one item (goal) and focus on that. One thing at a time. If your goal is to generate leads, you need to measure what’s working by creating expectations when you start working towards that goal. What are your simple definitions between marketing, sales and PR? How do you use marketing to grow your business long and wide? What is a marketing plan and how does someone go about creating it? When people are consistent, when can they start seeing results?